If fish added to a new aquarium are expected to survive, then the water needs to be cycled first. There are many ways to speed up this process. 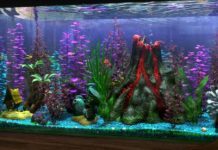 It is of key importance to properly cycle aquarium water before fish are added. 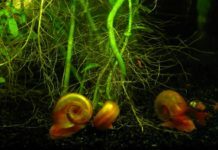 What this means is that the nitrogen cycle needs to be triggered and active, supplying the necessary nitrifying bacteria to reduce ammonia, nitrites, and nitrates in the water. These pollutants are toxic, and if they are not somehow broken down or removed from the water, they can sicken or kill fish. If possible, these basic steps should always be done to at least establish the first bacteria colonies in the new aquarium water. 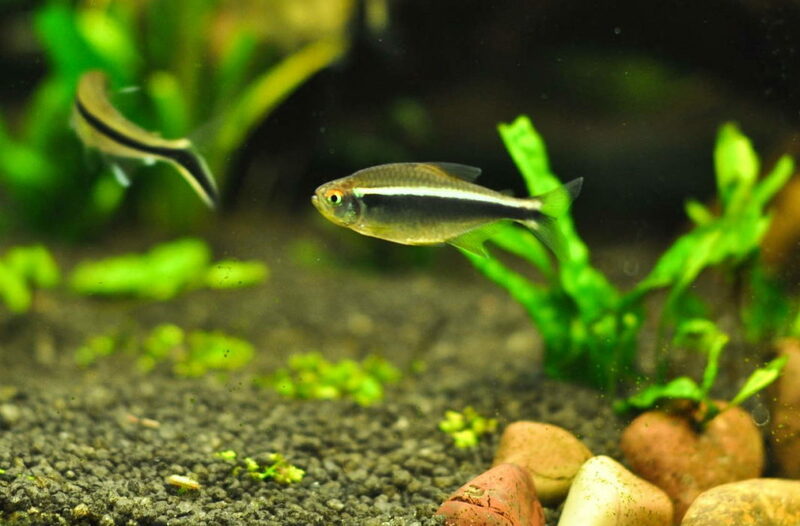 Use Feeder Fish to Trigger the Nitrogen Cycle – In order for nitrifying bacteria to build up to suitable levels, there needs to be something present in the water producing ammonia (fish waste) for the bacteria to feed on and break down. Feeder goldfish, tetras, guppies, or white clouds are all excellent candidates. 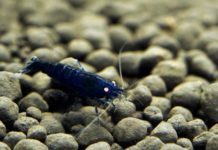 Not only are they inexpensive, but they are fairly hardy and have a good chance of surviving the barren, bacteria-free environment of the pre-established aquarium. Just a few will do. Do not overstock or the fish will produce waste too quickly to be broken down. Use Mature or Established Filters – Use filters that already have significant contact with aquarium water, or used filter media that already possesses bacteria colonies. This will help increase the rate at which the nitrifying bacteria multiply throughout the water. Be sure not to wash or rinse the filter or media in tap water, as the chlorine will kill off the beneficial bacteria. 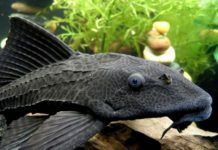 Instead, perform a water change and wash the filter and media in established aquarium water. 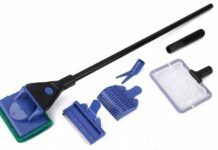 There are approaches to speed up the cycling process even more, but it may be difficult to obtain the necessary materials. Use Established Tank Water – If there is another aquarium in the building, perform a water changer on it. Rather than discarding the water, use it to fill the new aquarium. 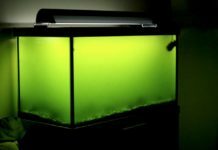 If the old aquarium has been established long enough, then the water should have a plentiful amount of nitrifying bacteria. Friends, coworkers, and even local pet stores or schools can be sources for used aquarium water. Be cautious utilizing this approach, however, because disease and parasites can travel in the used water as well. 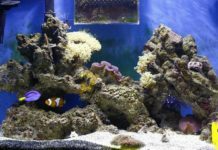 Take Advantage of Used Substrate – The substrate or gravel in an aquarium tends to collect significant amounts of organic matter, as well as bacteria that feed upon it. These substances, when introduced to the new aquarium water, can aid in speeding or triggering the nitrogen cycle. 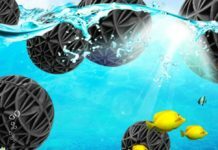 For all gravels or substrates, be sure that it is thoroughly rinsed before introducing it to the aquarium. Chlorine found in tap water will kill off any bacteria present. So be sure to rinse the substrate in established tank water so as to preserve the bacteria colonies. Do not be overzealous when first setting up an aquarium. Make sure to properly cycle the aquarium before adding fish. 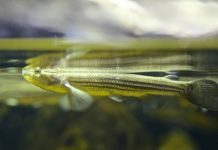 Any fish added before the nitrogen cycle is established will almost certainly die because there won’t be enough beneficial bacteria to break down the ammonia, nitrites, and nitrates given off by the fish waste. These steps will help accelerate this often lengthy process.